Located a couple blocks East of Gastown, smack in the middle of Railtown you’ll notice a renovated warehouse. There aren’t any big flashy signs, but if you look closely you’ll see the words Settlement Building, The Belgard Kitchen, Postmark Brewing and Vancouver Urban Winery on a charcoal block beside the grand wooden front doors. All under one roof, you have 3 different offerings. 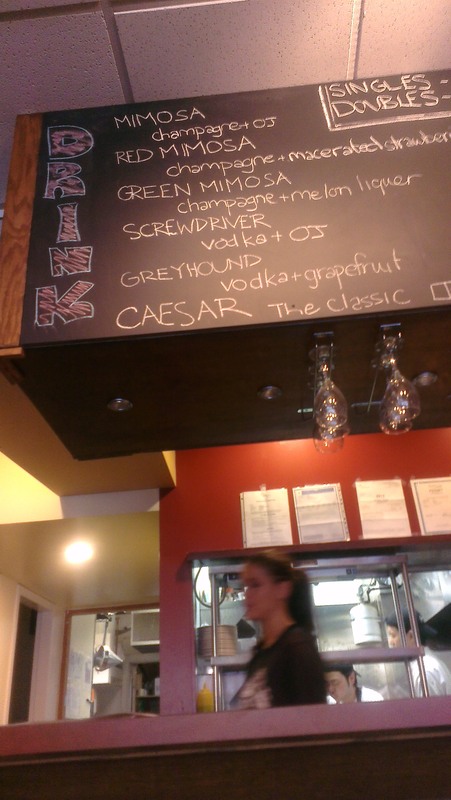 Vancouver Urban Winery which has 36 wines taps available for tasting and purchase. 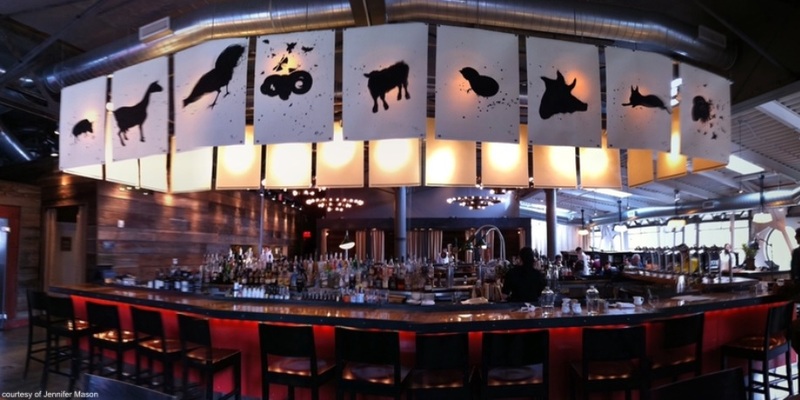 Postmark Brewing offers 6 beers on tap, including an IPA, a Wit, a Stout, and a Hefe. 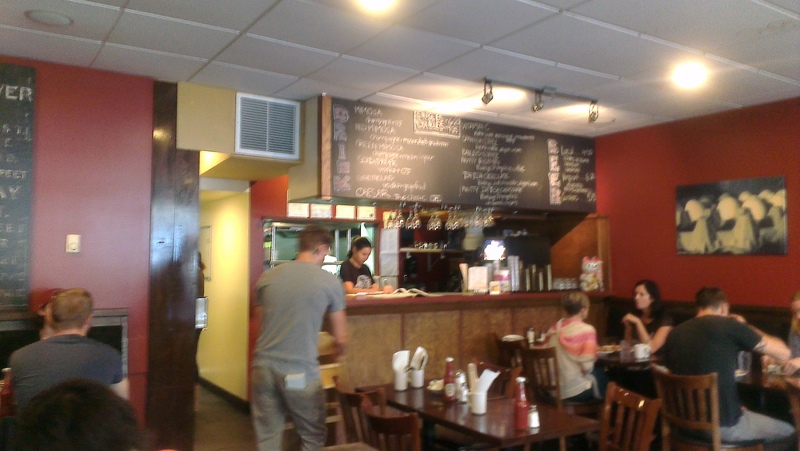 Belgard Kitchen is a restaurant with a menu with multicultural inspirations. I ordered the Salmon Gravlax Hash, which came with house cured sockeye, crispy potatoes, avocado, beet puree and picked onions on a bed of arugula with poached eggs on top. It was light as well as delicious and exactly what I wanted. I ordered an extra egg so all 3 eggs were perfectly runny on top of my salad. My husband ordered the Railtown Breakfast Wrap which had fried egg, bacon, avocado, arugula, sprouts, pickled onion, hummus all contained in a flatbread with a side a potatoes. Although it wasn’t as colorful, my daughter and husband loved this dish even more than mine. Since my daughter still takes an afternoon nap, we had limited time before having to go home to put her in bed. We decided to change our plans to stay longer just to admire the décor after our meal. From the high ceilings, vintage fireplace, wine barrels, wooden tables and to their tastefully arranged antiques, we were impressed. 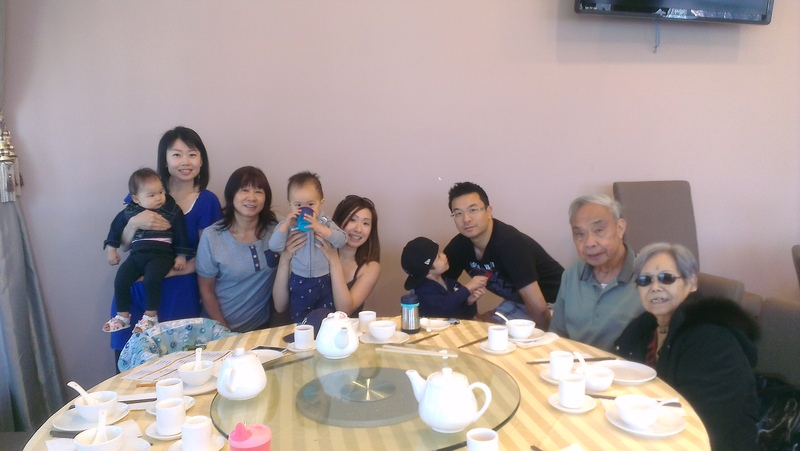 We can’t wait to come back for lunch or dinner. The low quality, shady restaurant that went by the name of Grand Buffet is finally no more. 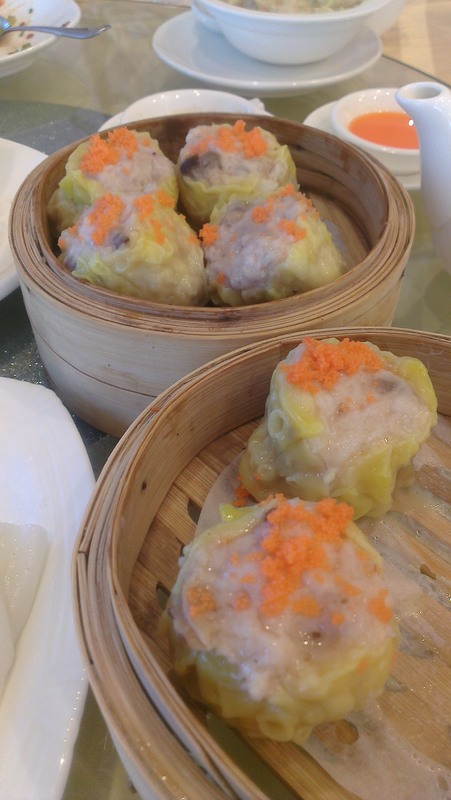 In its place, my wish has been fulfilled as a new dim sum restaurant has taken its place. 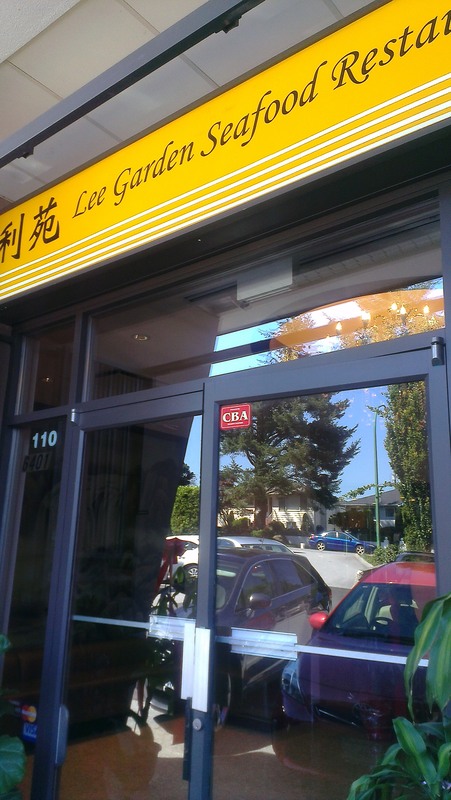 Hello, Lee Garden Seafood Restaurant. 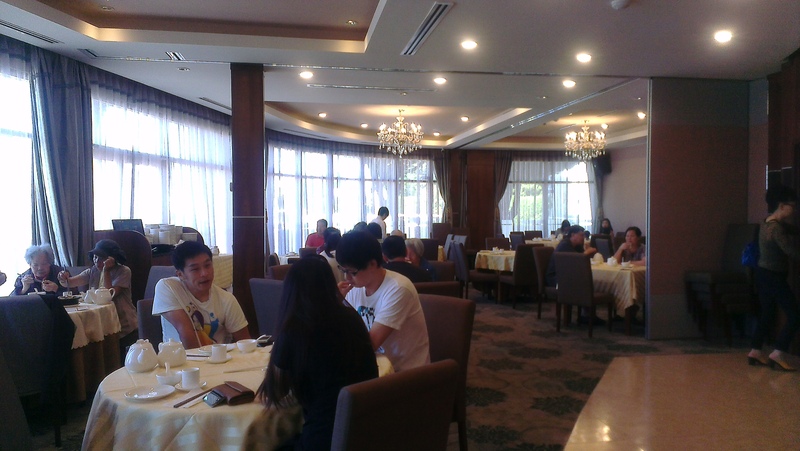 I was surprised at how the old dining area with fluorescent lighting was pretty much gutted and transformed into a tastefully decorated restaurant. The layout is long and curved with chandeliers and floor to ceiling windows all along one side. It’s a great place to beat the summer heat because they are not cheap with using air conditioning. I almost had to go home to grab a light sweater. Service was excellent and the washrooms are clean. 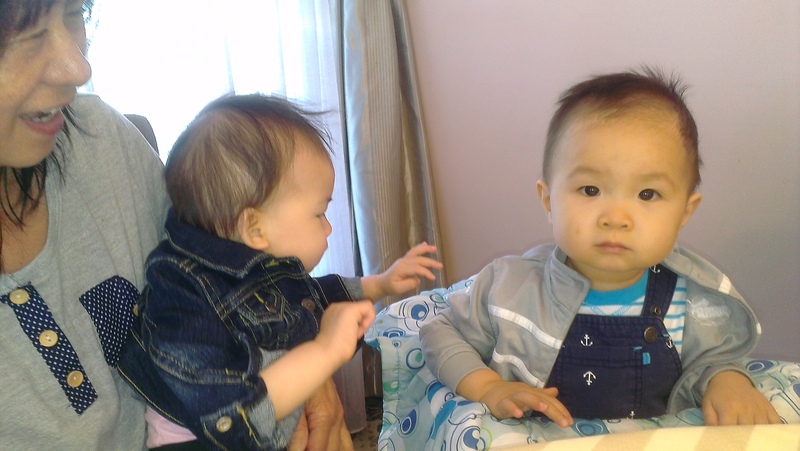 There are however, no change tables for your baby, but that’s not surprising for an Asian restaurant. 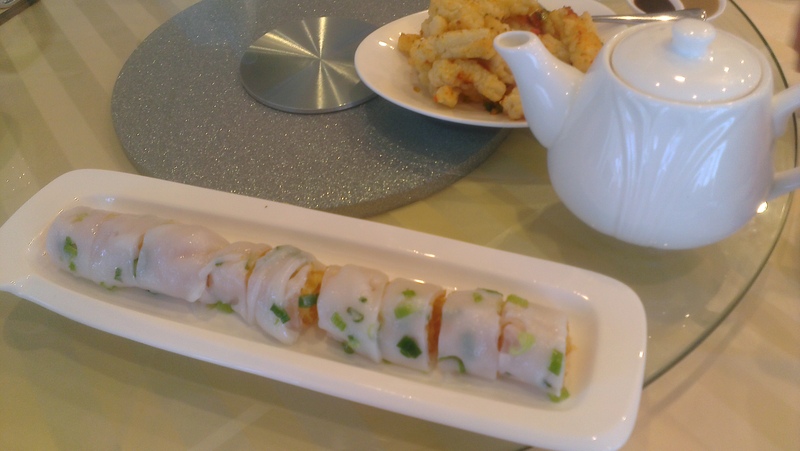 As with all new Chinese restaurants, the quality of food is high and the prices are reasonable. One can only hope it stays that way for as long as possible. In the meantime, I will enjoy my monthly doses of greasy Asian brunch items, while washing it down with tea. Sometimes you want a fancy brunch and sometimes you just want to go for something simple and delicious. 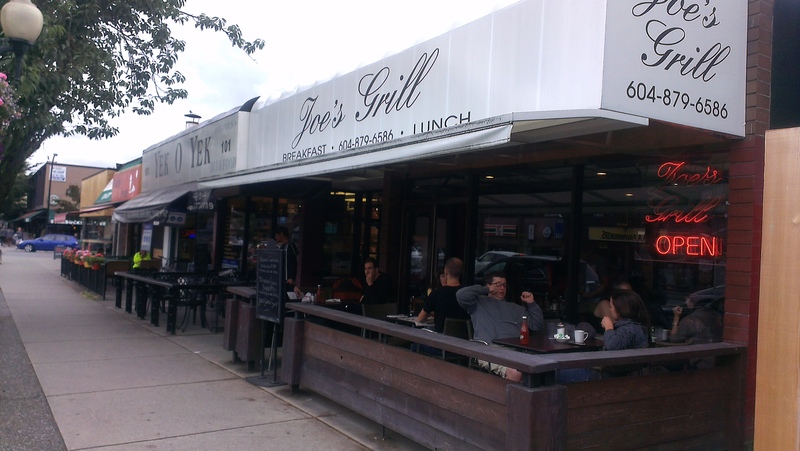 Joe’s Grill is a casual diner that serves brunch as well as lunch items everyday. 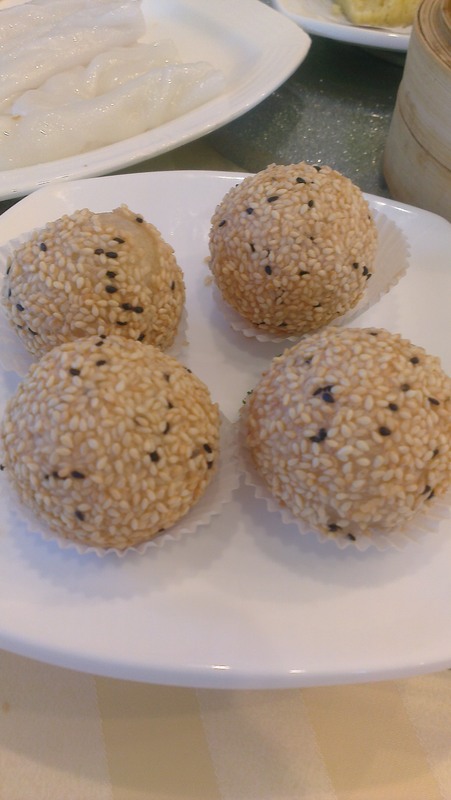 The restaurant is located on trendy Main Street among all the dessert and coffee shops. I hate fighting traffic downtown and the parking sometimes, so Main Street is close enough to the action. 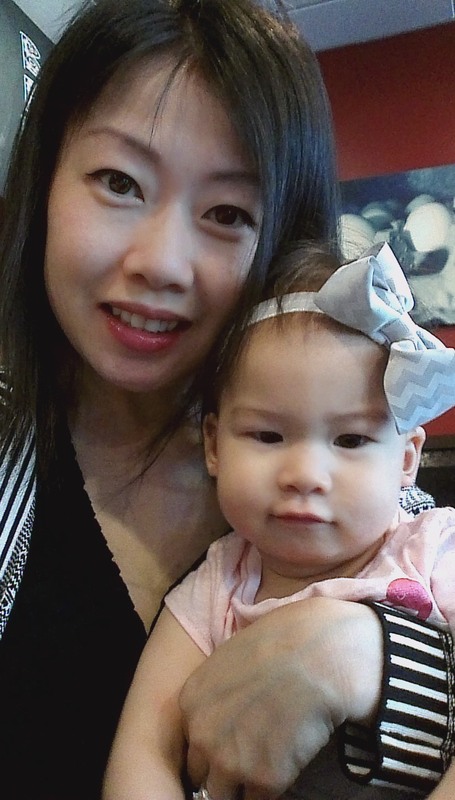 It’s also a lot easier to go for brunch when you don’t have to wait for an hour, especially with a baby. I usually get the eggs benedict since I can’t poach a proper egg or make Hollandaise sauce if my life depended on it. 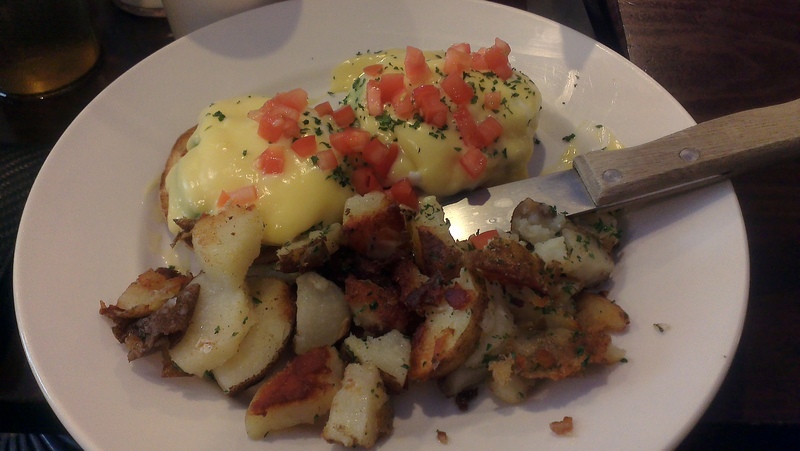 I decided on the eggs benedict with avocado and tomato. It was perfectly cooked with runny eggs and more than enough Hollandaise sauce. Props to the chef because it was made so well that I used it as dipping sauce for my potatoes rather than using Ketchup. 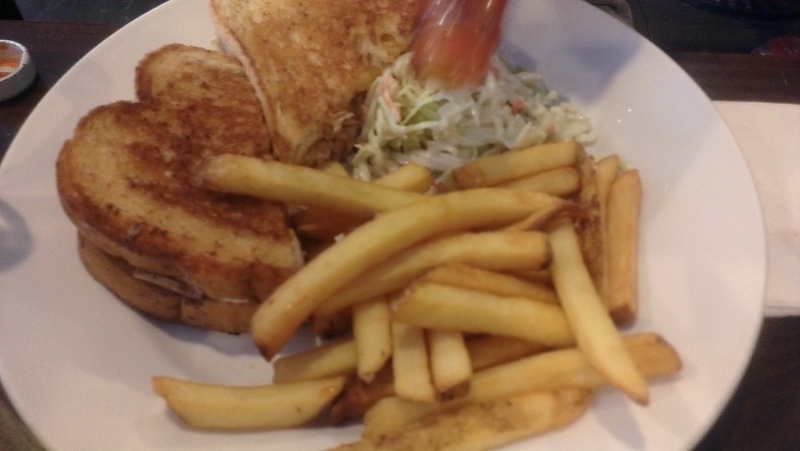 My husband ordered the tuna melt and I usually sneak a bite, but I was too busy shoveling food into my mouth from my own plate this time. Even though our meal lasted for only an hour (Mikayla had to nap), it was good to spend time with my cousin and meet her boyfriend for the first time. I have a lot of favorite spots in Portland and Pearl District is right up on my list. It’s artsy and trendy without the pretentiousness. Maybe Portland knows exactly how to capture my heart with all their different pockets and neighborhoods. 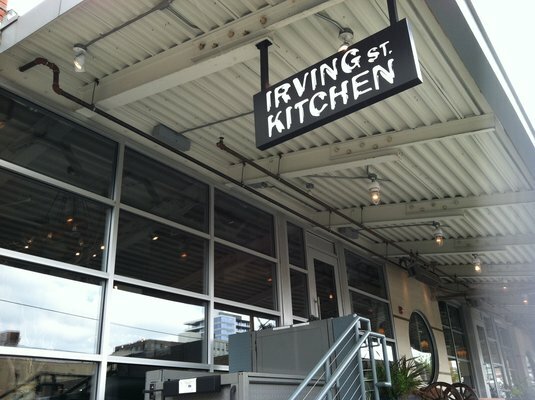 If I can choose one place to have brunch, it’s definitely Irving St. Kitchen. 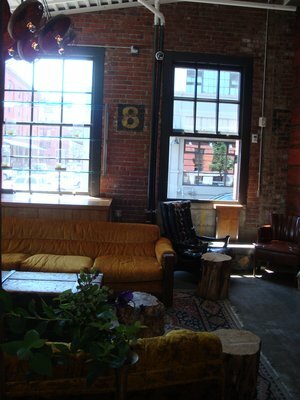 You’ll notice the décor right away with the exposed brick and ceilings as well as their ink blot art. It’s a comfortable place to have your weekend morning meal with a coffee or mimosa in hand. 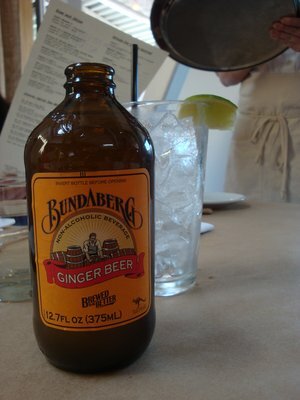 This time, I chose a ginger beer. I had the most mouth watering scrambled egg dish. 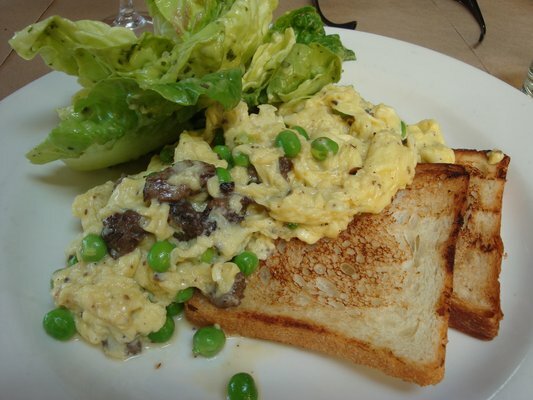 It was an English Pea and Morel Scramble with creme fraiche served with lightly dressed butter lettuce and toast. If you’re famished, I would order more sides as the portions aren’t huge. The prices are more towards the mid to high range, but it’s most definitely worth it.